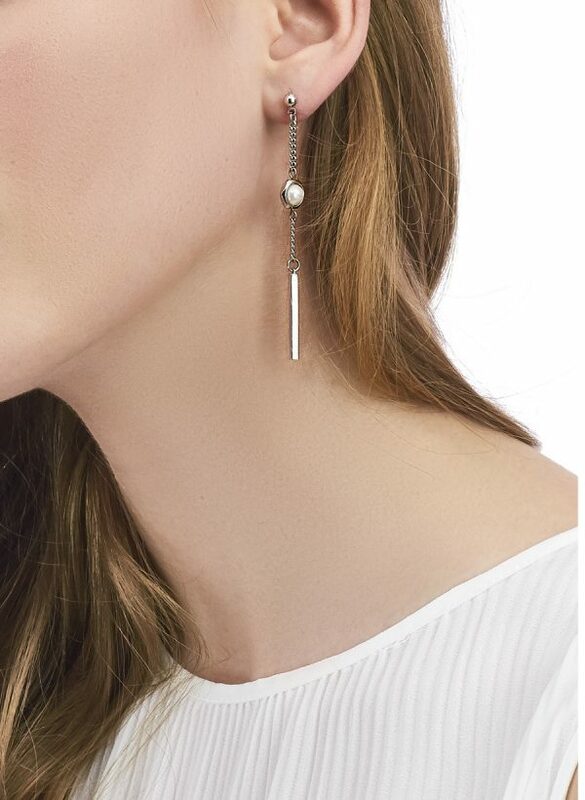 Asymmetrical “Celine” earrings have lustrous majorica pearls and a dainty chain strung with polished bar that lightly skims your décolletage. 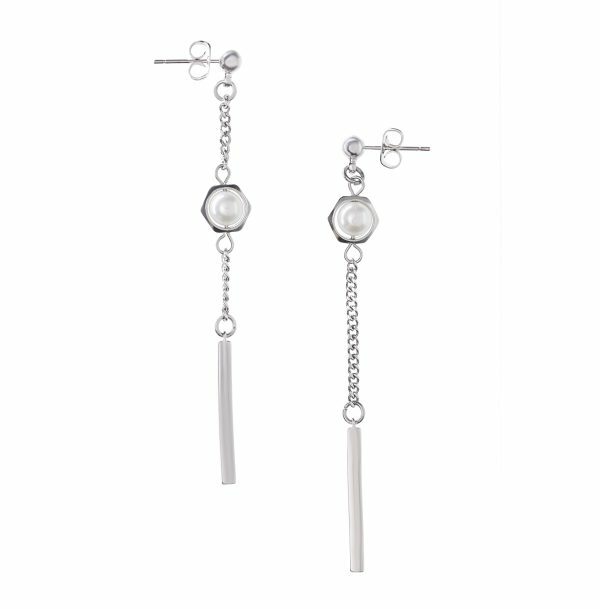 The minimal design allows you to wear it with different styles. 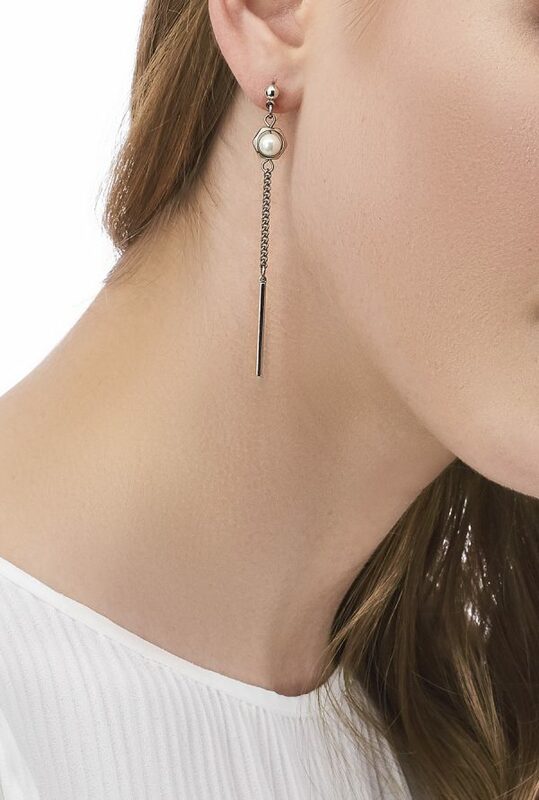 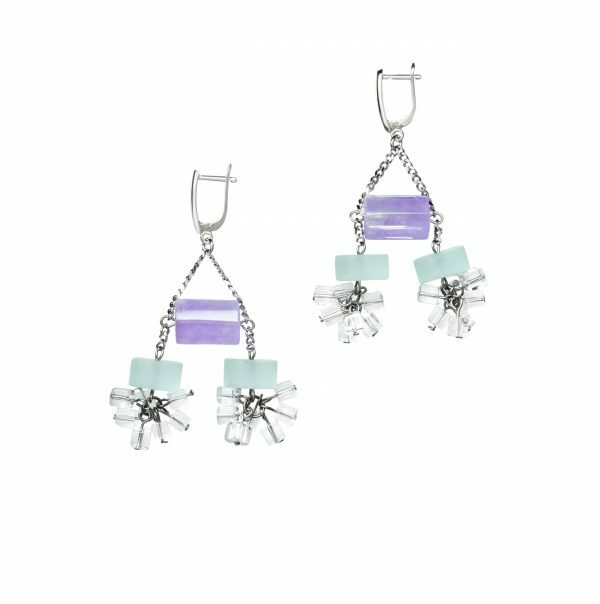 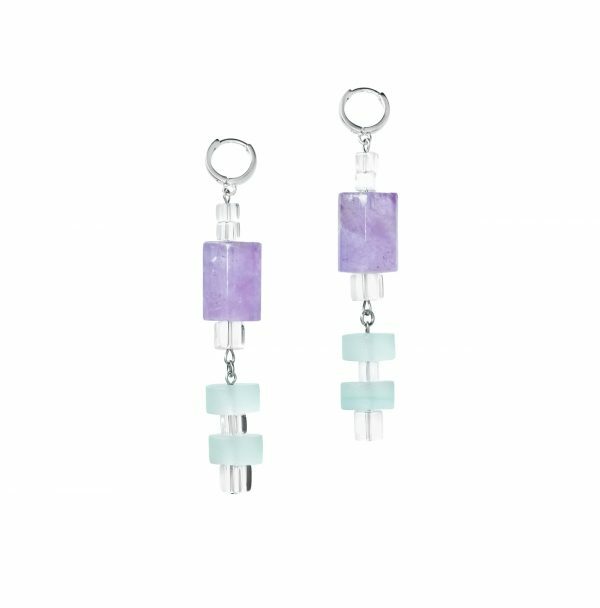 Wear them as a set or try just one alongside a pair of studs for a bolder look.